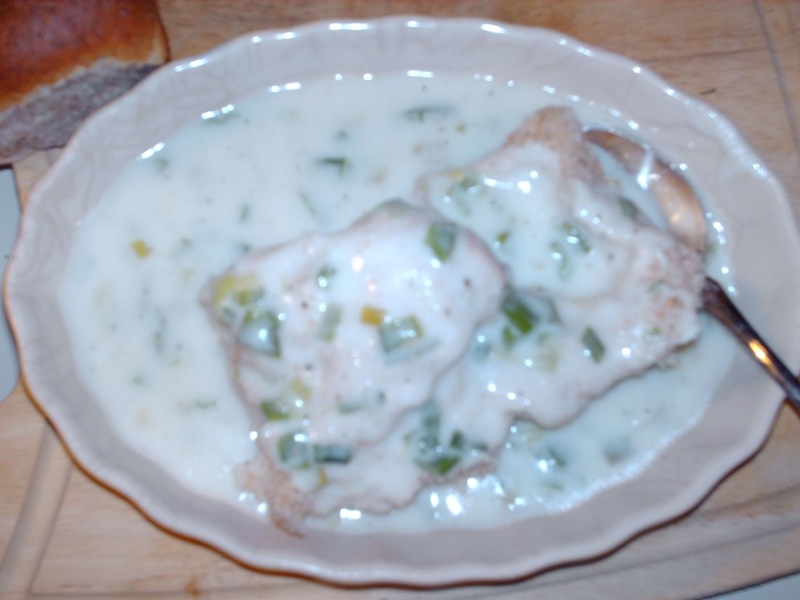 Over the past 6 months or so I have had several people ask me if I could give them the recipe for Amish Friendship Starter, we have made this already with several variations. The only problem with it, is that when the time comes for friends to give the starter to, when you divide it up, is that all your friends disappear if they are not cooks to begin with. I will have to say, that it is sad that so few people seem to cook these days, or at least enough, that something like this is to special for them to handle. To those that prepare meals everyday it is just a run of the mill recipe like baking bread, cakes or pies. The starter is easy, I liked to make it when the days are short and dark during the winter for something different to do when you don’t feel like running around outside. I found that it was easier to make the bread/cake from the starter and divide the bread/cake into several pieces and give the starter with it., along with instructions on how to make the bread. We also had a version which I cannot locate now that you added a different kind of fruit to the starter every couple of days with sugar, so you ended up with a fruit cake. I will try my best to find and post this also in the coming weeks. I will add here that this does make a nice starter to make and share over the Thanksgiving / Christmas holiday season when there are lots of people baking and cooking, that sometimes don’t always cook through the year. Cover bowl usually with a paper towel, wax paper, plastic wrap or cloth. Keep at room temperature, DO NOT REFRIGERATE! Stir mixture once each day, using wooden or plastic spoon. ADD 1 CUP sugar, 1 cup flour, 1 cup milk, stir, Remove 3 cups of starter, give 1 cup each to three friends, keep the rest for yourself. 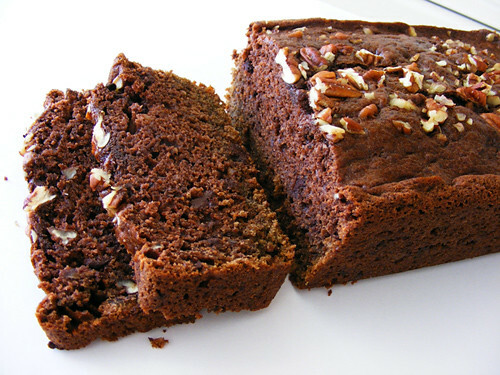 Note: Upon looking around for some variations on the internet for the Amish Friendship Bread/Cake, I tell you I found so many great sites with variations including the one using fruit that I wanted to share some links to these sites with you. What To Many Zucchini’s !!! Well I tell you that has never really been a problem with us, you can make all sorts of things from Zucchini’s, many of which you know about already like breads, cakes, mock crushed pineapple (if you are a home canner) However most people look oddly strange at me when I tell them I am making a squash pie. 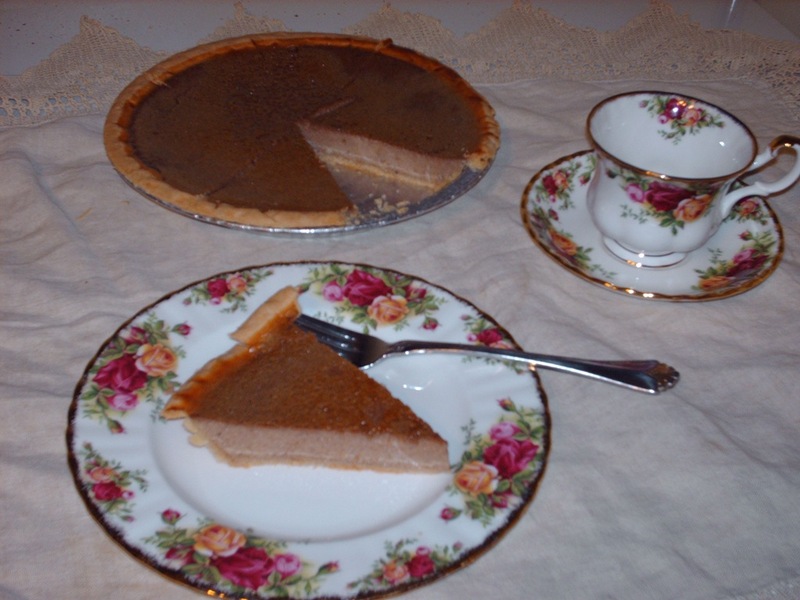 Growing up we NEVER had pumpkin pies, maybe once a year, however Zucchini squash pies ………….we had all the time! Grandma loved squash pie and you could count on one or two or more being made during the weeks that Zucchini was coming in. We make ours more like squash custard, same with pumpkin, however some recipes result in a very heavy pie. Sweet Potatoes can be the same, you just need to add more milk to the filling. Like many things today though, I personally do not think King Syrup tastes like it used to back then, what a shame too, it was great. Here is the squash pie recipe, (yes not a homemade crust this time either, need to buy some lard, so you will see the bought pie shell this time. 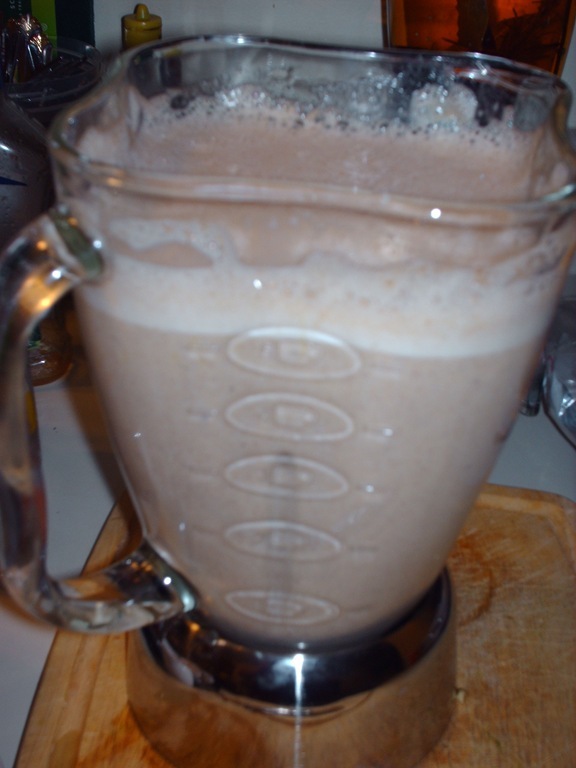 Place cooked squash in blender or food processor and puree with water. (I use water due to the fact that I use all 1/2 and 1’/2 in my pies) you may use milk or all half and half or cream in yours. 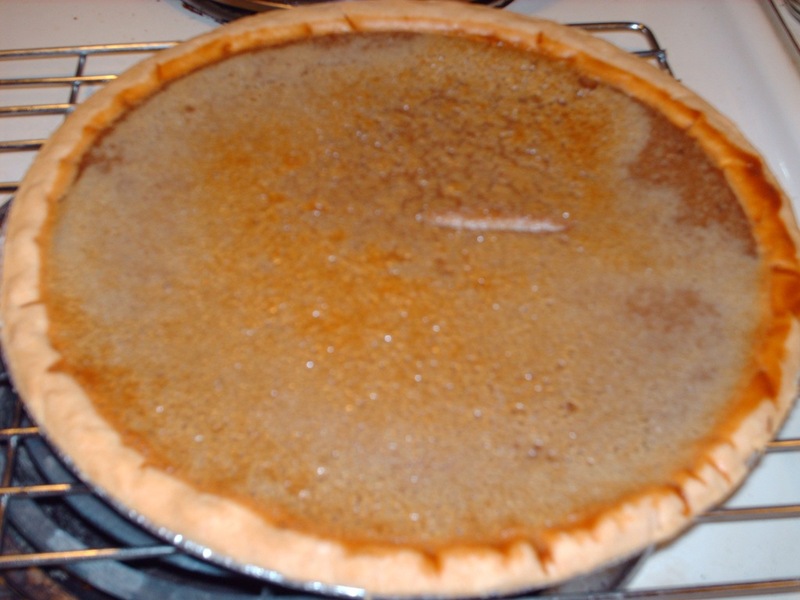 3/4 cup sugar (can be brown, or a mixture of white and brown or all white) you can use more if you like a sweeter pie. 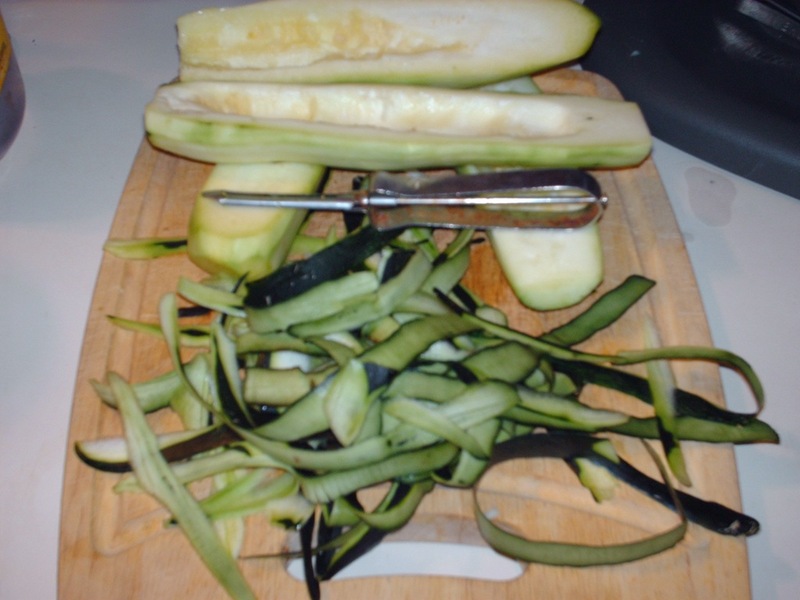 Wash and prepare the zucchini, slice in half length wise, take a spoon and remove the seed cavity unless they are so young that no seeds have formed yet. Peel with a knife or potato peeler, cut into large chunks, and cook or steam until tender, if you have a pressure cooker, then you can place on the rack with about 1-2 cups of water, I usually place 2 canning jar bands in the bottom of the cooker and put the rack on the top of them to keep above the water level, put the weight on and bring to pressure 15 lbs for about 3 minutes and remove from heat and reduce pressure instantly under cold running water. 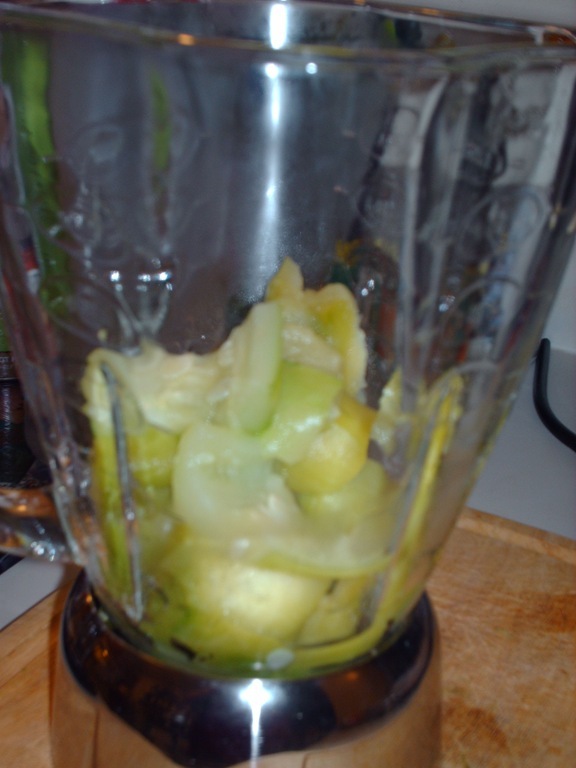 Remove squash and allow to cool enough to put into blender and puree. If needed you can add a bit of water to help puree. Add your sugar, flour, spices, vanilla, eggs and milk, half and half or cream, pulse several times to blend and pour into pie shells. Bake at 350 for about 45 minutes or until set, oven temps vary from oven to oven so check your pies after about 35 minutes and go from there. When a knife inserted near center of pie comes out clean your pie is done. **NOTE: Use this recipe as a base recipe, if too spicy for you, reduce spices, or add more, if you like a heavier pie add more squash and reduce the milk. Squash like pumpkin is an easy pie to play with to get it to what YOU like best..
You will find that Squash pie has a more delicate flavor and consistency than pumpkin pie. 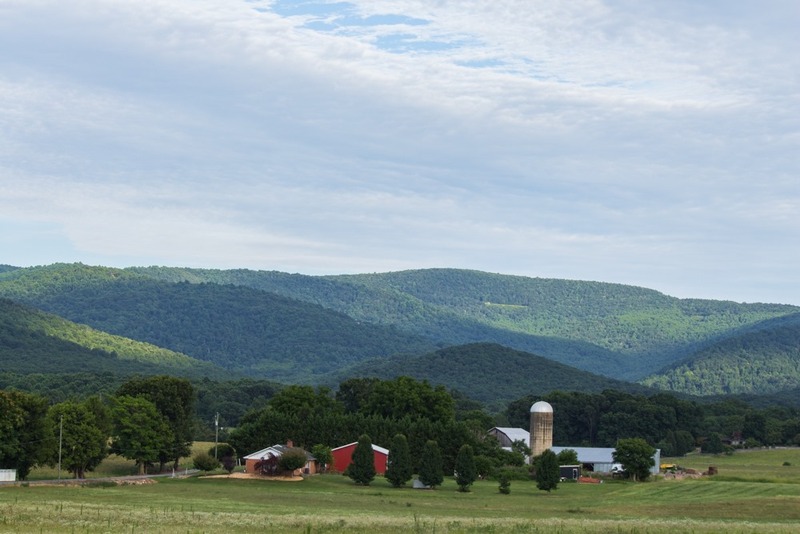 When I was young I remember Mom making creamed onion tops for over toast and biscuits, back then I was young and did not know anything about being hard up, or making food stretch to feed two growing boys, it was just life. 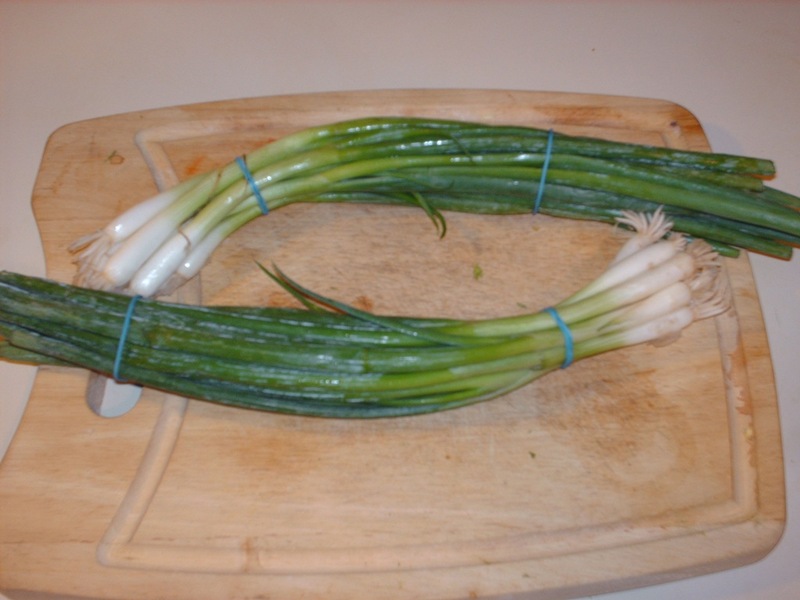 During the summer months when my grandparents had the garden I often remember mom coming home from grandma’s with spring green onions (well in the summer time they were larger and older) but she would chop up the onions and the tops and cook in some water, with some salt and pepper and then when tender she would add milk, and thickening and then at the end stir in some butter. CREAMED ONION TOPS!! Time are tight like those time back 40 to 50 years ago, so history repeats itself once again, we don’t know in life what will be fall us, or how we will cope with these hard times. However I am thankful for a good memory of the prior 50 years, that I am able to retain all of life’s lessons I learned along the way. When hard times befall us then we can go back to those days and draw on them for living today. 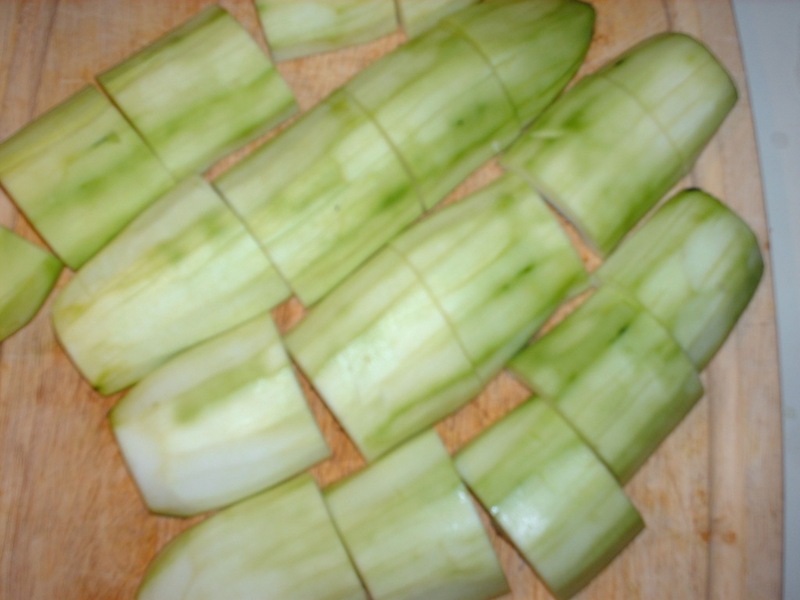 When you think about it this recipe for Creamed Onion Tops is the basis for many recipes, Asparagus Soup, Potato Soup, Oyster Stew, Hamburger Gravy, it is so easy to make and since so many recipes for quick meals can be created with just this one bit of knowledge you can create so many dishes for you and your family. 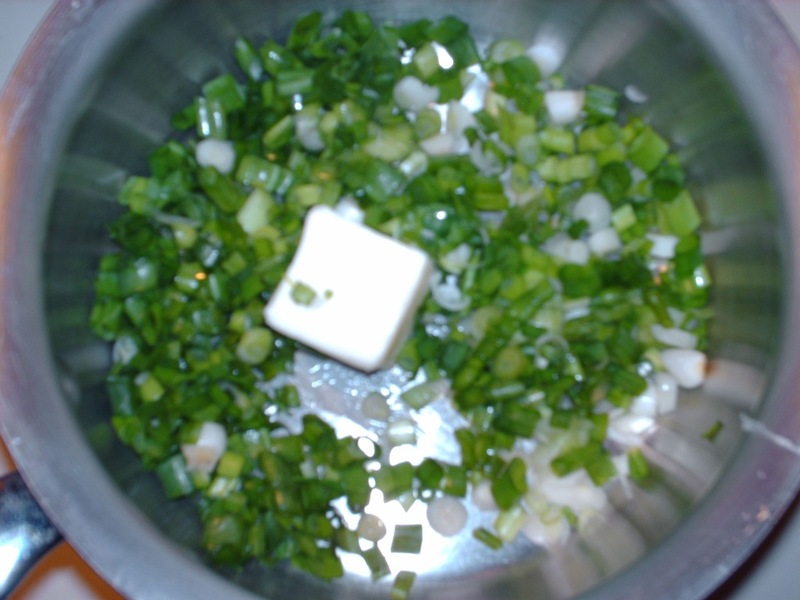 Butter, Salt and Pepper, you may add some sugar, just a teaspoon to a tablespoon should do, as my grandmother and great aunt used to say, it is added to take the green taste out, however it depends on personal preference. Thicken with 2 tablespoons Cornstarch dissolved in cool water, add to mixture stir and simmer until thickened (if too thick add more milk or water, if to thin add extra thickening. If you are out of cornstarch you can melt a couple tablespoons of butter in a dish in the microwave and add a couple tablespoons flour and stir, if flour make this mixture to thick add another tablespoon butter and melt, you want he consistency to be smooth, not runny, not thick. add this to the simmering water and milk mixture, and simmer for a minute or two, until the mixture thickens to desired consistency. Serve over toast or Sour Cream Biscuits. or Quick Yeast Rolls. Some friends share their CSA box with me each week, so I never know that I will be making from week to week, it is always a surprise. So I have decided to share with everyone the recipes that I make from the produce in the CSA box. The past two weeks I have had 2-3 pounds of Asparagus. Last week I made Cream of Asparagus Soup, for which no recipe exists, I just make it, so I tried to keep track of what I did to make this post. Just a note here, many of my recipes you will notice that I use a pressure cooker extensively, and have for decades now. However don’t dismay, you can make the recipes without, just adds a little more time to preparation. Small piece of salt pork. Chop the Asparagus into what ever size suits you, I did about 1/2 inch pieces. Render out salt pork in the bottom of pressure cooker, (you could use bacon also) or side meat. 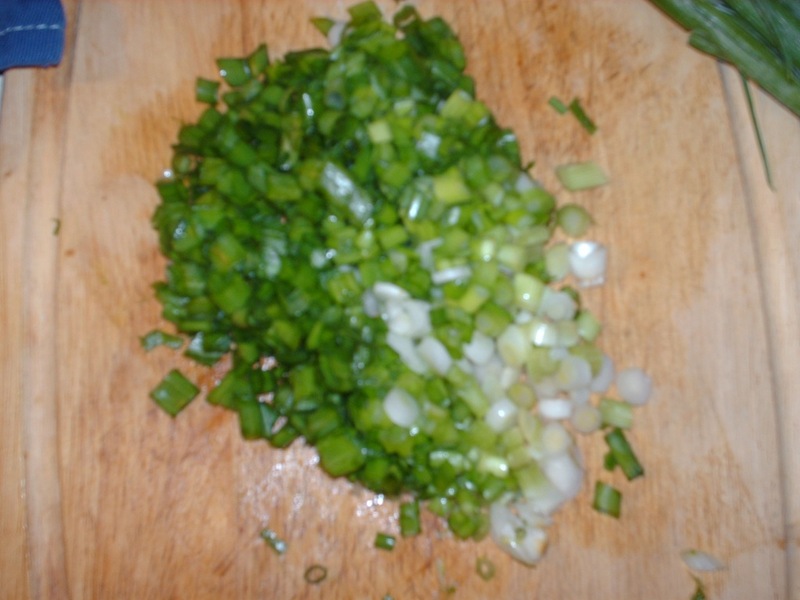 Place Asparagus in pan, along with chopped bunch of spring onions (I love onions so I used 6) chop the white and all of the green tops (if they are really young use 6) if they are older larger spring onions 2 or 3 would do) I usually just saute for a minute before adding the water. Place lid on pressure cooker bring to 15 lb pressure for 4 minutes, turn unit off let set a minute or two and cool off in sink under cold running water. To thicken you can use cornstarch thickening 2-3 tablespoons of cornstarch to water to make thickening, and add to the soup, still to boiling, allow to simmer, for about a minute. NOTE: I was out of cornstarch, so I made a quick roux of 4 Tablespoons Flour and 3 tablespoons melted butter, mix together well, until slightly runny you may need an extra tablespoon butter , pour this into the near simmering soup and stir until thickened let cook for a minute or so to thicken. More or less cornstarch or flour may be used to reach the desired thickness I like just some body to my cream of soups, but not heavy.